Minister for EU Affairs and Chief Negotiator Ömer Çelik participated at European Islamophobia Report 2016 Panel and delivered a speech. 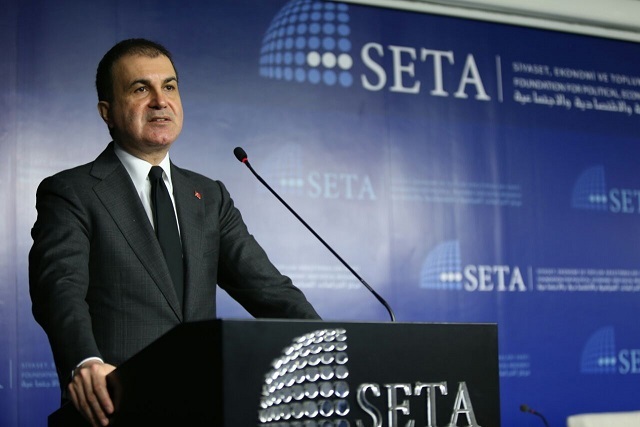 During his keynote speech EU Minister Ömer Çelik shared his views on rising Islamophobia and Xenophobia in European continent. European Islampobia Report prepared by the Foundation for Political, Economic and Social Research (SETA) aims to cover and monitor both the state and tendancies of Islamophobia in various European countries.